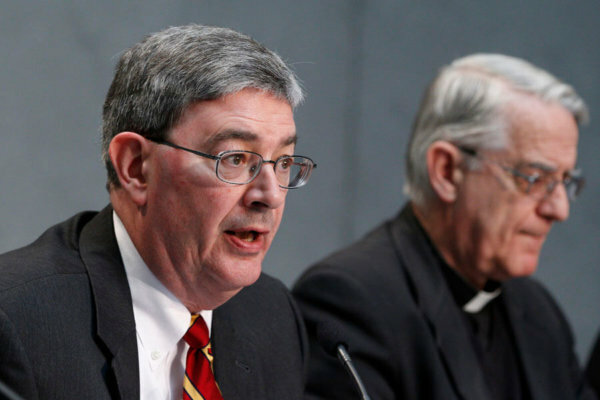 George Weigel has written more than 20 books, including one of the primary biographies of St. John Paul II. How did this Baltimore boy get connected to Pope John Paul II, and how did he come to write “Witness to Hope: The Biography of Pope John Paul II,” published in the fall of 1999, and “The End and the Beginning: Pope John Paul II—The Victory of Freedom, the Last Years, the Legacy”? 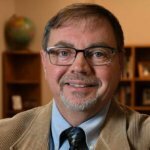 Weigel’s essays, op-ed columns, and reviews appear regularly in major opinion journals and newspapers across the United States. A frequent guest on television and radio, he is also Senior Vatican Analyst for NBC News. He grew up in Baltimore and received a bachelor of arts from St. Mary’s Seminary and University in Baltimore and master’s degree from the University of St. Michael’s College, Toronto. Weigel will kick off a speakers’ series at the Baltimore Basilica Sept. 21, just a couple days after his latest book, “Lessons in Hope: My Unexpected Life with St. John Paul II,” hits the market. He will discuss the new book and his connections to one of the longest-serving popes. Listen to George Weigel discuss “Lessons in Hope” and St. John Paul II in this episode of the “Catholic Baltimore” radio show. In the interview, Weigel noted that all of his material from the John Paul II research will be donated to the Library of Congress after he dies. That includes audio tapes of his research for “Witness to Hope,” including 12 hours of conversations with then-Cardinal Joseph Ratzinger, who became Pope Benedict XVI. The cardinal was prefect of the Congregation for the Doctrine of the Faith under Pope John Paul II. Scholars and others who are interested will be able to access that information, once it is digitized by the LOC. For more information about Weigel’s Sept. 21 talk at the Baltimore Basilica, click here. Contact Gunty at editor@catholicreview.org; Twitter: @ReviewGunty.